A nine-point circle contains 3 midpoints (D, E, F), 3 Euler points (N, O, P), and 3 feet of altitudes (K, L, M) of a triangle ([Triangle ABC]). The nine-point circle is also tangent to the inscribed circle and excircles of the triangle. 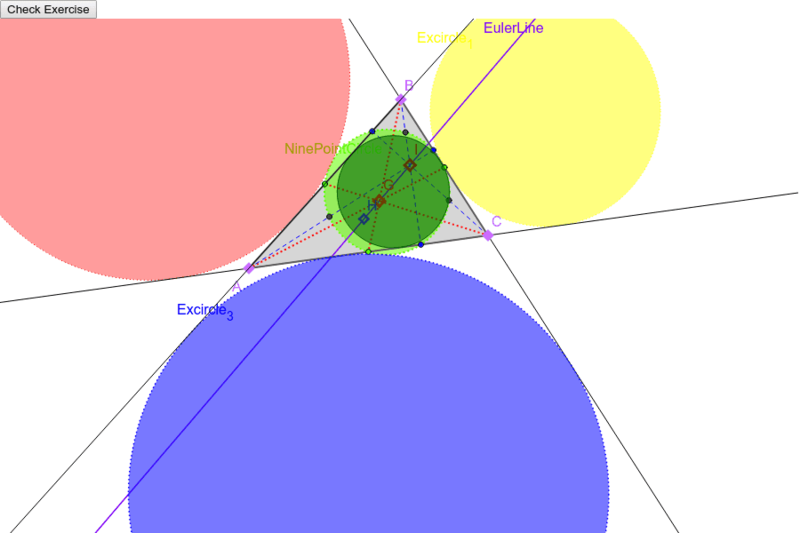 Drag any of the vertices of the triangle to verify theses properties of the nine-point circle. Acute, obtuse or right angled triangle?